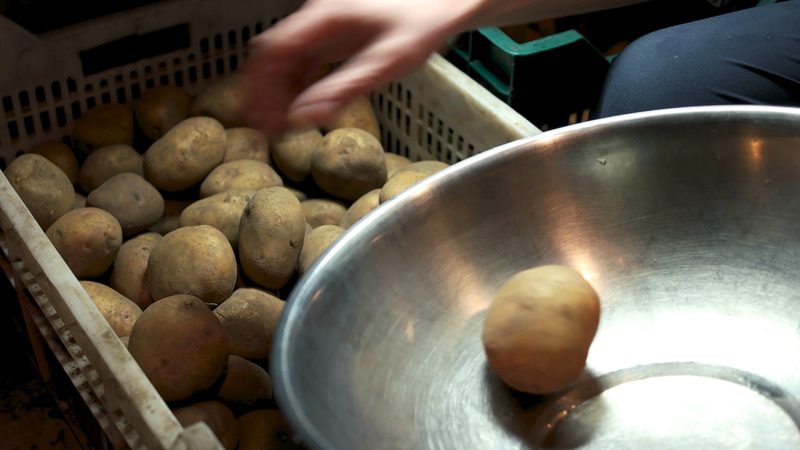 Male Hand And Raw Potatoes. Description: Male hand and raw potatoes. Vegetable in a crate.